Freedom Defence Canada » Moral Exclusion: Morality Given the Boot. When the Charter of Rights and Freedoms was approved in 1982 as Canada’s new constitution, replacing the B.N.A. act, there was great rejoicing. That sure did not include me. I had a foreboding feeling that dark times were coming. Now they have arrived. We can see this in our liberal laws on human sexuality and the loss of our once cherished freedoms. Judeo Christian Moral Law essential. What changed? The B.N.A. act had the Judeo Christian Moral law as its root, the base of its direction, correction and judgment. It was one of the formative influences of our country and the standard for the Rule of Law. With the introduction of the Charter of Rights and Freedoms as our legal guideline, that influence has gradually been eroded. Grace Macinnis, a Negative Tone and Flawed Influence. Someone who was a major influencer in this change was Grace MacInnis. MacInnnis, an NDP M.P. from East Vancouver led the fight for the legalization of abortion. She attacked the existing moral and legal laws as archaic and oppressive. By doing so she established a negative tone and influence just prior to the debates by M.P.s in the House of Commons against the inclusion of the Moral Code in the new constitution. She argued that the country needed a new legal system in which people’s needs and rights, and not a moral code were the rule and focus. Judeo Christian Ethic Lived On. 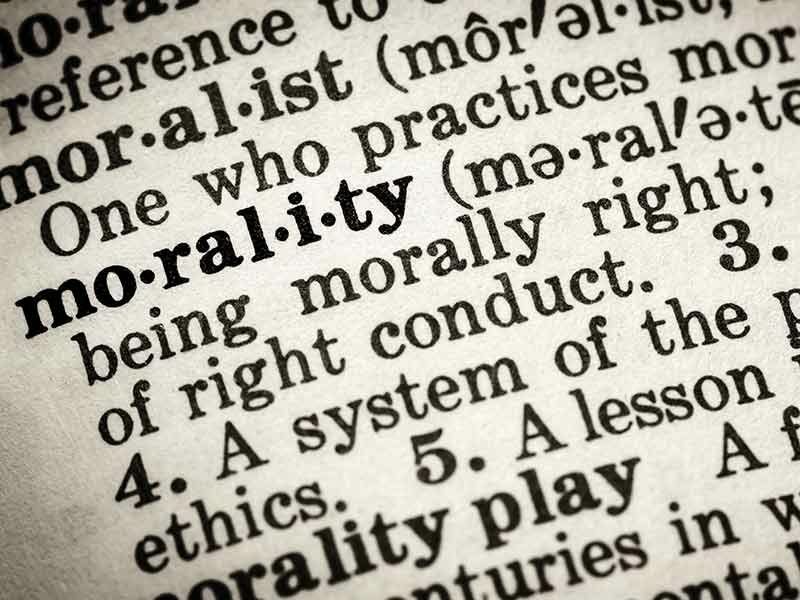 Though the legal roots of the Moral Law were cut, the Judeo Christian ethic still lived on, and continues to live on, in a section of our culture. Yet the movement to remove it, and the moral law and rights connected to it, especially in Civil contexts, continues. A determined effort to eradicate the Judeo Christian ethic still lives. Calgary VLT Issue a Perfect Example. A perfect illustration of this was the Calgary VLT (gambling machines) debate. The lawyer for the city gave a directive to city council that they were not allowed to argue or debate the issue on moral grounds. All arguments had to be legal. After reading this in the Calgary Herald I went down to City Hall the following day to express my concerns to the Clerk. I felt this was a violation of freedom of speech and thought, a muzzle placed over the mouths of the councillors, and an obstruction to real communication. The moral and social concerns over this issue would remain, but would have to be discussed in the halls prior to the meeting in effect, under the table, rather than around it. Boundaries of Moral Law Distasteful to Some. Why is Moral Law so controversial these days, and why has there been so much political action directed at removing it? The reason is that it establishes boundaries on human behaviours and desires. It limits the “go” or automatic approval to all actions, and sets up a “no” to some behaviours. Many parts of our society do not like such directives, preferring to act only according to their own beliefs. The Negation of Moral Agency. Thomas Schmidt in his book, ‘Straight and Narrow?’ writes some provocative words about what happens when a country’s moral standards are removed. It is no longer a “could.” In Canada, with the passing of M-103 and Bill C-16, it is now a reality. Because we have no moral standard embedded in our laws we have degenerated into a country where sexual identity is fluid and concepts like transgenderism are looked upon as the norm. This has resulted in chaos, as government directives remove our freedom of expression, violate our rights and prevent us from expressing ourselves so that we cannot even use the words “mother” and “father” or “his” and “hers.” To speak against this can be costly. Few would disagree that this is a form of oppression and a negation of freedom of speech, one of our most fundamental rights. Canada is now a ship without a compass or rudder. Its direction is subject to the winds and tides of our time. Unless we rise up against this, and change the oppressive directives limiting our lives, we can expect things to drift even more to the Left, our existence to be even more restricted and more of our freedoms to disappear.